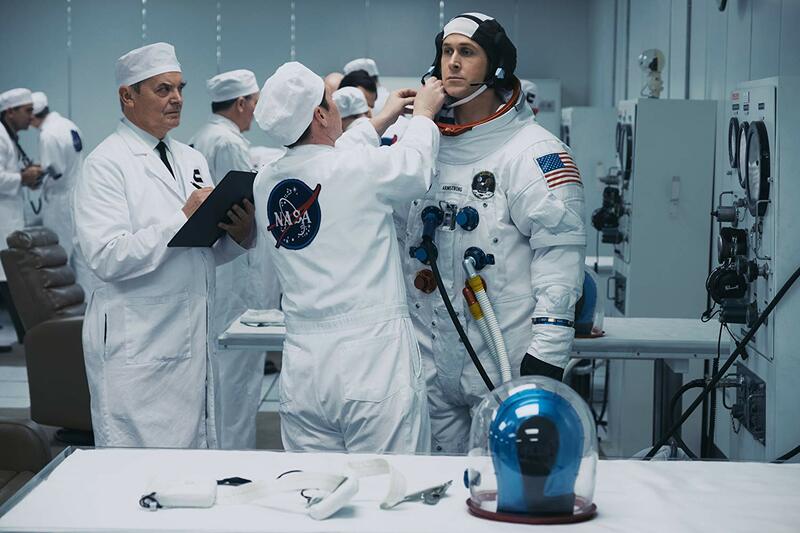 First Man is brought to us by Academy Award-winning director Damien Chazelle (Whiplash, La La Land) and tells the true story of Neil Armstrong, the first man to walk on the moon in 1969. Adapted to the big screen by Josh Singer, the film follows the events of the 2012 book of the same name and follows Ryan Gosling as the titular figure as the US and NASA race to beat the Russians to the moon. Rather than taking a more political approach to the subject matter, the film actually focuses more on the burdens and hardships Neil and his family endured during the preparations for this mission in the two or three years that pass throughout the film. Claire Foy (The Crown) portrays his loving wife and gives an incredibly strong performance as she holds their family together while he’s constantly away and ultimately risking the chance of ever even coming home. This is Gosling’s second time working with Chazelle, but you’ll find a much different performance than what you may remember from 2016’s La La Land. In this film, his character has suffered a great loss and he carries a broken heart throughout. Because of this and his dedication to his work (which involves putting his life in danger over and over again), there’s an evident strain on his relationship with his wife. He doesn’t say much, and when he does, he’s quiet and restrained. Foy, on the other hand, is much more open in her performance and lays it all on the line when she needs to. Being the one raising their kids while he’s away and knowing the risks he’s inevitably going to take, she demands he be the one to sit down and tell them he may not come home. 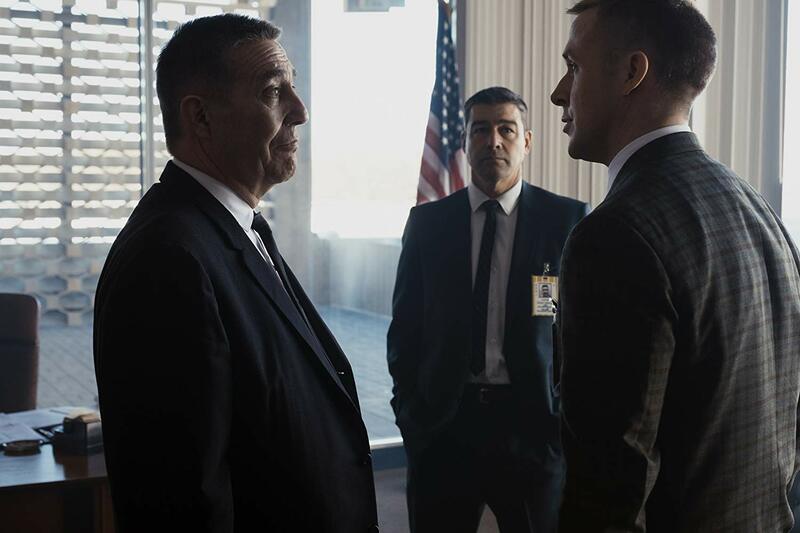 It’s a very powerful scene, and Foy and Gosling are terrific both there and throughout the entirety of the film, as well. Chazelle makes an interesting choice to film the majority of the film with incredibly close-up shots. It’s incredibly effective in allowing the viewers to distinguish the emotional shifts in our characters’ faces in some pivotal scenes (namely, one in which Gosling receives a phone call), but the effectiveness ultimately wears thin by it being vastly overused throughout the rest of the film. Also notable is the wonderful score throughout the film by Justin Hurwitz. At different times throughout the film, the score would just pair wonderfully with the visuals on the screen and had me in awe. Hurwitz has scored all four of Chazelle’s films now and has won two Academy Awards having done so with La La Land. I would not at all be surprised to see him occupying another spot in Best Original Score in January. Another thing I enjoyed quite a bit (at least on an extremely personal level) was the attention to detail the set designers and production crew put into the scenes within the rockets themselves. I’m no rocket scientist (sorry, I had to), but I did visit the St. Louis Science Center earlier this year for the Destination Moon exhibit which featured a vast amount of pieces from the Apollo 11 mission such as the hatch door, medical kits, heat sinks, etc. I found quite a bit of joy in seeing a number of pieces in which I learned about being recreated and in action during this film. 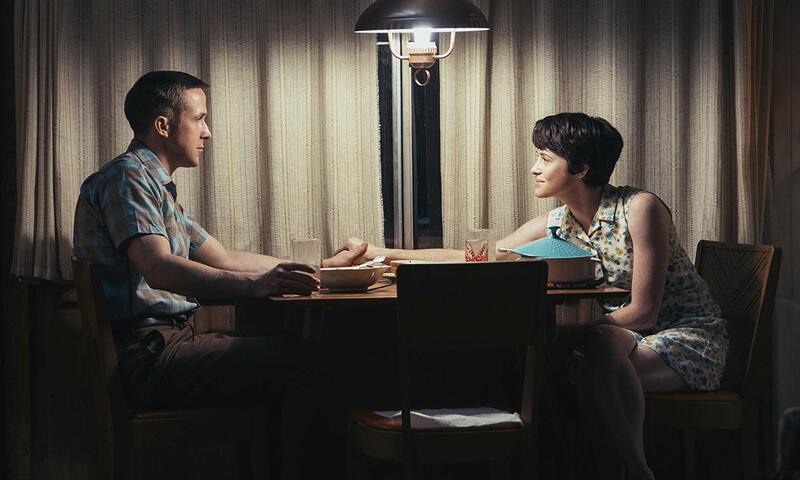 First Man does have its ups and downs. It starts off with a breathtaking sequence featuring Gosling breaking the Earth’s atmosphere in his plane, but then falls into a lull for a little bit before picking back up with some riveting test flights. 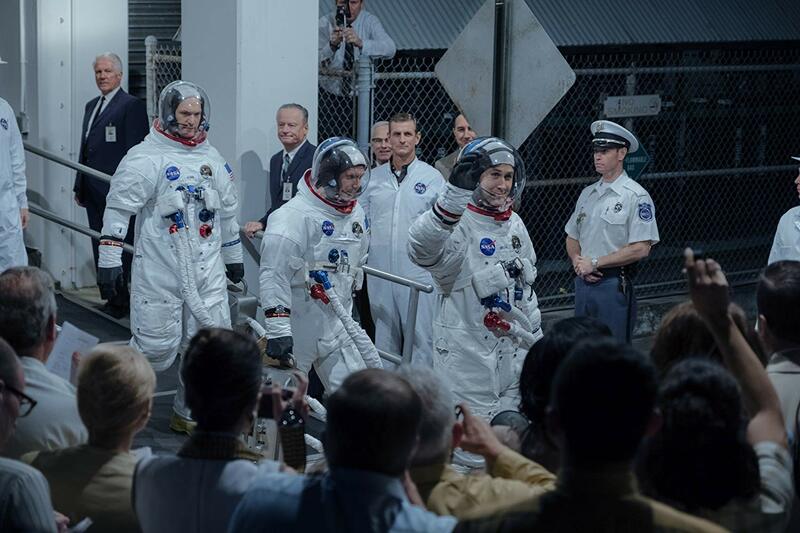 What makes the film though is its characters and their performances, and when combined with a terrific score and an incredible third act visit to the moon itself, First Man is one giant leap for filmgoers.